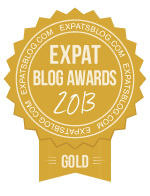 ExpatsBlog.com Expat Blog Awards 2013: Italy Gold Award! Greg, I certainly enjoyed reading your blog. I was right there in Italy with you it is so descriptive! Keep on with the writing you have real talent!! !